How do we get more major countries to adopt crypto as their legal tender currency? This is the question I was pondering when I came up with the following idea. Consider a country like Venezuela that is currently running the printing press so much that they’re seeing something like 1400% inflation! This is a terrible thing for the people of Venezuela and eventually it has to stop. The government can only print so much before they need to come up with a new currency or some how reset their currency. When a country gets to that point they are extremely desperate. They really need a bail out because they’ve screwed things up so badly and they are going to need money or they will likely lose power. Usually they’ve already stolen, through inflation and probably taxes, most of the money of the populace. There’s not much more they can do. I don’t like the idea of helping out a government like Venezuela’s, really it should be abolished. However, a way to bring some civility and freedom back to that country would be a return to sound money. A great way to do that is through cryptocurrencies. Of course Venezuela has already tried that, but no one trusts them so I think it was a bit of a flop. If they were to adopt a crypto that they have no control over, then it would work. Even better if they were to adopt a token on the EOS blockchain, not only would they have to abide by the constraints of sound money but also the constraints of the EOS constitution. Imagine the Venezuelan government having their crypto frozen because they violated the EOS constitution because they committed violence against a fellow EOS token holder in Venezuela! Well, here’s a way that could happen. Create a ‘Crypto Venezuela Coin’, CVC from here on out. 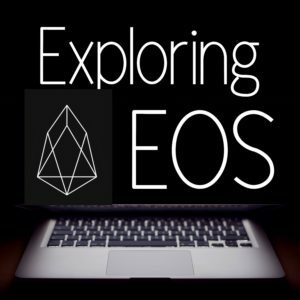 The CVC would be a smart contract on the EOS blockchain. This would provide fast confirmation times and high transaction throughput. The token supply would have to be big. I tend to like the idea of more coins and fewer decimals. But I think I would need to be divisible into at least 100 Trillion indivisible units. I know, I know, inflation isn’t sound money. Well, even gold has some small level of inflation so bear with me on this… The CVC smart contract would have set inflation of say 3%. That inflation would go into a ‘lockbox’ escrow account that no one has access to. I’m partial to the idea of not making the inflation a percentage but rather the same amount every year. But either way would probably work. Second, do a series of airdrops to verified Venezuelan citizens. I’ll explain. Of course we would have to partner with blockchain based identity system. Hopefully we’ll have something good enough soon! The reason for this will be come clear later. The reason we do a series of drops is to incentivize a greater number of Venezuelans to register. So maybe an airdrop each month for 6 months of 10% of token supply. That way early adopters get rewarded but there’s time for others to come in and get some. Maybe some sort of referral incentive would be good since we want as many people to have some as possible. As part of the Ricardian Contract (that’s the human readable contract), we have it written that the Venezuelan government can take control of the Escrow account as soon as they fulfill certain stipulations that they have control over. #3 and #4 are redundant after agreeing to #2. How can something like this be decided on chain? Through arbitration. The Venezuelan government will need to file a claim and demonstrate to an arbitrator that they have fulfilled the stipulations. Once the arbitrator is satisfied, he/she can then order the BPs to forward funds from the escrow to the government’s account. One big benefit of this is that then any transaction with the CVC is governed by the EOS blockchain governance. If the Venezuelan government goes back on the change then an arbitration suit can be filed and the arbitrator can freeze the government accounts and stop them from receiving their inflation income. We could even require an arbitrator to reassess whether or not the government is fulfilling the stipulations every month or every year. That way there is accountability to ensure they are adhering to the EOS constitution. Hopefully the market will start to value the CVC and trade it on the exchanges. As that price rises, this gives incentive for the government of Venezuela to fulfill the stipulations. Especially since they are in dire need of funds. Once the escrow account grows to about $2.5 Billion/year, it will likely be very difficult for Venezuela’s government to resist. However, they would be giving up a lot in order to get this ‘bail-out’ money. But it might just work. I originally came up with this idea for the US States. They have some constitutional authority over money, though they don’t use it. Even so, they could nullify and just go ahead with a new currency on EOS. I thought of making one for each state and see which one(s) takes it. Another concept would be to create one of these for every country and let the market decide which is most likely to take the deal. A third approach would be to create one coin and not attribute it to a country. The first country that fulfills the stipulations gets it. That way it’s a bit of a competition. Anyway, there’s the idea! I think this is a great candidate for an EOS worker proposal. Please take a minute to comment and share! I’d love to hear what you think.